When using OPENQUERY you will sometimes want to make calls to the same server you are working from. The most common reason for this is to query the output of a stored procedure into a temporary table. 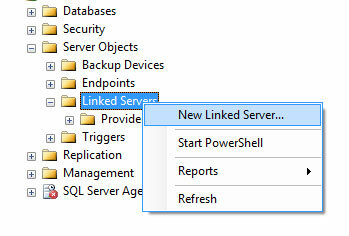 The “New Linked Server” Dialog appears. Type in a friendly name that describes your local server (without spaces). I use LOCALSERVER. i just started my sql dba job am new one in this field. 1-I hv configuere Linked server,bt i dont know how it is used? 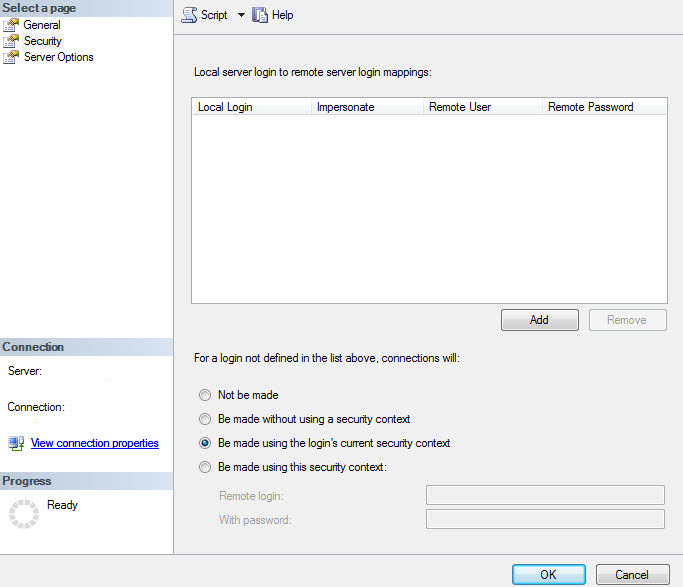 I hv added Link server throgh SSMS.As shown above. How i can utilised it. 2-I hv db in datacentre room,so that i hv give 2 cilent conncetion to my near room.aleardy there r 2 m/c’s with OS Win7. 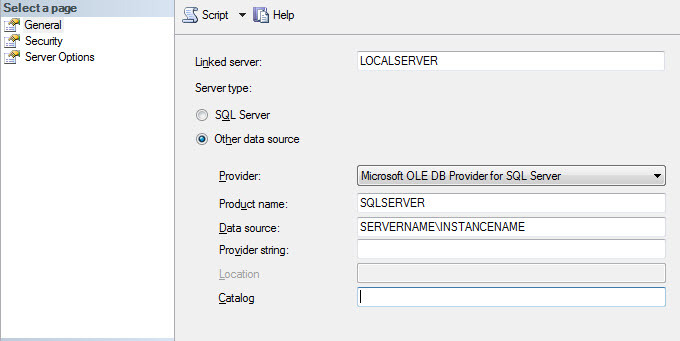 My db server installed on SQl server 2008 stnd R2 edition. wat is requirement for cilent M/c’s.pls suggest me.